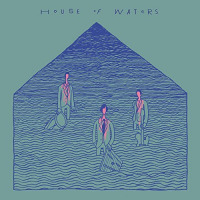 The eponymous follow-up to House Of Waters's 2012 album Revolution is no less an iconoclastic offering than its predecessor (or the band's previous two albums Peace The Coats and Elsewhere). Iconoclasm here is a relevant noun because the trio's musical approach confounds traditional perspectives. So although not compositionally similar to say, Philip Glass's extraordinary soundtrack Koyaanisqatsi, or Frank Zappa's Hot Rats the overall effect to the uninitiated is just as startling. Even without the occasional addition of extra musicians, House Of Waters has a surprisingly big sound. The point of difference however is that they employ unusual -to put it mildly -instrumentation. The kamelen ngoni is a stringed instrument, a successor to the West African ngoni, sharing sonic characteristics with the kora and with a harp-like quality. Check out Luke Notary's extraordinary soloing on "Save Home." Max Zt's hammered dulcimer is probably unique in jazz but as evidenced on the opener "La Semana," proves superbly complementary to the effervescent sound of the other instruments in full flight. The two instruments are augmented by Moto Fukushima on six string bass with percussion duties shared between Max Zt and Luke Notary. Priya Darshini's contributes dulcet vocals to the wistful "Hamza" whereas the hypnotic and percussion-rich "The Falls" adorned by hand clapping, could derive its influence equally from the Indian sub-continent or Native American music. The lugubrious cello introduction to "Francesco" belies its slow, satisfying build-up and exuberantly majestic ending. "Black Mallard" benefits from a subtle yet pervasive vamp which gradually lifts the piece in an exercise of tension and release. There's a chordal, organ-like quality to Moto Fukushima's bass guitar on the opening to "17" (so called because of its eccentric 17/8 time signature). His soloing on "Forming The Emptiness" reveals him as a true virtuoso of his instrument. The album concludes with the lively, foot-tapping "Juice" and there's a vague similarity here to the joyous music conjured-up by the stadium-filling phenomenal French folk-rock harpist Alan Stivell. Interestingly, although released on Snarky Puppy's Ground UP label, House Of Waters's oeuvre is almost diametrically opposite to the full-on sound produced by Michael League's big band. However, it is no less fascinating and indeed, it's truly mesmerising. 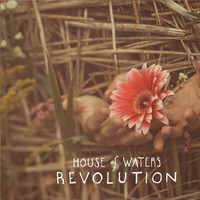 House Of Waters resonates throughout with a true eclecticism drawing its influences from many sources. A rare and beautiful gem. Track Listing: La Semana; Save Home; Hamza; The Falls; Francesco; Black Mallard; Forming the Emptiness; In Waves; Patience; 17; Juice. Personnel: Max Zt: hammered dulcimer, percussion; Moto Fukushima: six string bass guitar; Luke Notary: drums, percussion, kamelen ngoni. Plus: Priya Darshini: vocals (track 3); Dave Eggar: cello (track 5); Sam Sadigursky: flute, clarinet (track 5).